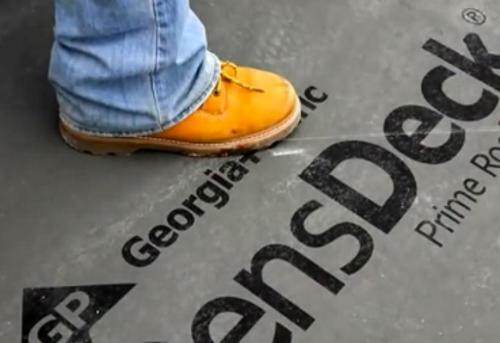 DensDeck Prime is a trusted and durable roof substrate that can be used in virtually any commercial roofing system. DensDeck Prime can mitigate the risk from fire, foot traffic, and hail damage, helping to add lifespan to the roofing system. DensDeck panels' superior dimensional stability over competitive gypsum fiber boards is due to their low coefficient of thermal and hygrometric expansion. DensDeck® panels used as cover boards do not need to be gapped. The enhanced boards also demonstrate superior compressive strength to support installation equipment and post-construction foot traffic.